If you’re ready to take the leap into home-ownership, and are only being held back by your credit score, it can be really difficult to be patient. Especially as you diligently make your way through a rigorous financial plan. You want to see that score rise faster, so you can get into your first home sooner and with way better interest and terms on your mortgage. While working towards better credit is a game of patience and self-discipline, there are things to do to build credit quickly and hit that goal a lot sooner. You cannot turn poor credit around unless you change your poor habits. New habits should include consistently checking your balances - both of your credit bills and your bank accounts. Budgeting is a habit you should have already adopted. 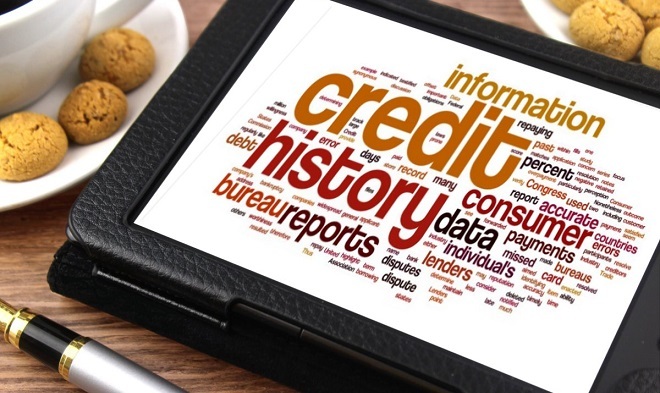 You need to be aware of your credit score and what’s on your credit report. You can find more great habits to adopt here. Eat instant noodles for a month if you have to, but scrape every red cent you have up and put it all on your debts. Bring them down as quickly as you can, ensuring all your payments are made on time. Don’t ever risk making a late payment as that can bring your score right back down again! Bringing your debts down is the fastest way to a better credit score because it lowers your credit usage percentage. You only want to be using 30% or less of the total credit you have. If you can pay it all off, even better! Using a co-signer on a credit product, such as a loan, and then making all your payments on time, every time is going to do wonders for your credit score. Even better, you can boost your credit score faster by paying more than the minimum payment each month. In fact, paying down your loan as fast as you can (while making all your other payments as well) is a surefire way to a higher score. An authorized user is someone who has another person’s card with their name on it. For instance, if your husband has a credit card in his name, he can add you as an authorized user, and you’ll get your own card with access to the same account. As long as the account you have attached your name to stays in good standing, you’re going to be able to boost your credit, albeit slightly. A secured card is a credit card that you have secured with some of your own funds. If you can get yourself one of these, and then keep it in great standing, your credit score is going to increase. Sort of the same idea as a secured credit card, except you access it via your bank account and generally, it comes with a lower interest rate. You can also earn interest on your security funds while they are securing your line of credit. Paying off your line of credit on time every month, more than the minimum payment, it going to seriously boost your credit score, so long as everything else you owe is kept up to date. Unlike a secured credit card or a secured line of credit, a credit building program doesn’t require you to put money up in the beginning to secure the program. Instead, the payout serves as the security funds and are only released to you once you’ve paid your program down. This has a double punch to it when it comes to knocking out poor credit, because not only do your regular, on-time payments to your credit building program get reported to the credit bureau like a regular loan, but you can also use the payout, once you get it, to pay down any other debts you have quickly. Your credit will truly soar with a credit building program. The one thing that each of these ways to build credit have in common, is that they all require self-discipline and sacrifice. Good credit requires these two things, and they are the best way to get a sky-high credit score, with few exceptions. If you are willing to sacrifice and change your habits, you’re going to get there, I promise. Are there any ways to build credit quickly that we missed? Let us know in the comments!